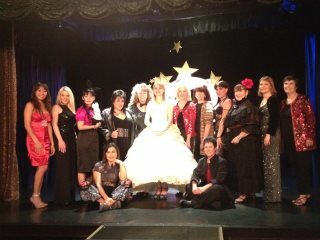 Women in Magic: The Magic Castle Tribute to Geri Larsen. 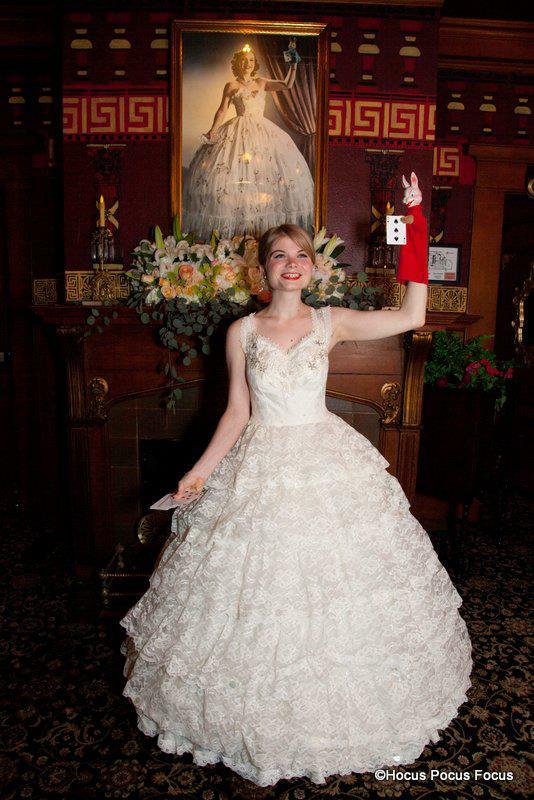 On the week of May 7th -13th the Magic Castle presented a fine tribute to one of the great ladies of magic, Geri Larsen. Geri as many readers will know was the wife of William Larsen Sr, and therefore mother of Magic Castle founders Bill and Milt Larsen. This is distinction enough in the magic world, however Geri deserves more than a ‘matriarch reference’ to magic lovers. Along with Bess Houdini she was the founder of the first woman’s magic organization in 1936, and that same year founded the venerable magic magazine Genii with her husband William Larsen sr. thus sowing seeds that are still flourishing to this day. Ms. Larsen was also the first woman to perform magic on television in San Francisco in 1939. By the ‘40s she was also starring in her own children’s magic show on ABC TV and a syndicated show for Telemount Pictures. This was quite a lady, a pioneer whose vision of a woman’s role in magic was way ahead of her time. In many ways it still is an avant-garde position, especially among male magicians. 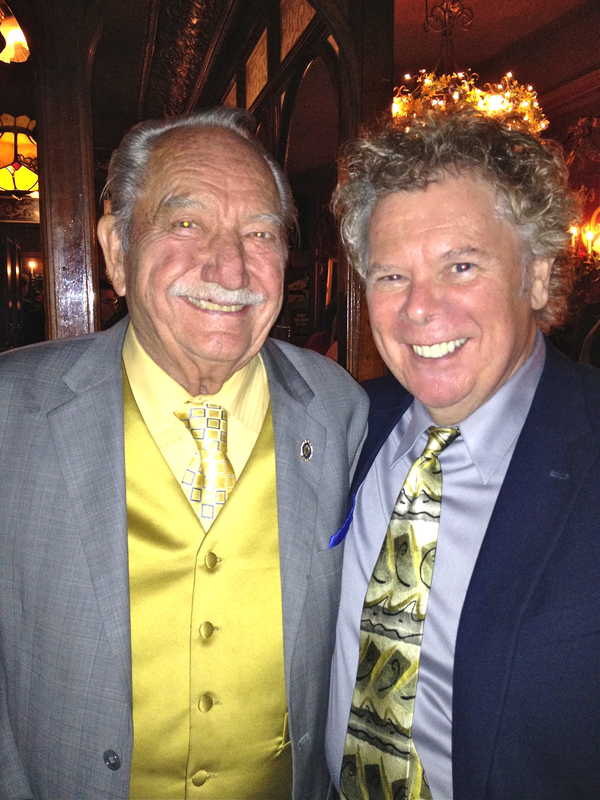 The Castle tribute was the brainchild of one of the Magic Castle’s most creative and key figures—Dale Hindman. For years I have enjoyed a relationship with Dale that was mostly based on us saying mean things to each other, and I think both of us have thoroughly enjoyed the process! Neither of us craves the warm fuzzy roles that life can offer. I guess I’d better begin by taking of my ‘distancing’ gloves. Dale did a really fabulous job of producing and directing the ‘Palace of Mystery’ show that was the emotional heart of the tribute week. He sensitively and expertly blended footage of Geri with a live re-creation of one of her television shows performed by her great granddaughter Liberty Larsen. He created a special event that really was special. It was the intergenerational Larsen relationship that turned the show (and therefore the week) into a true tribute that spanned the years and wove together these threads from the magic world. Dale did a truly great job and balanced a great contemporary show with a historic experience. Hand in glove with my appreciation for Dale’s work, must be added a reference to the great work done by the Castle’s booker—Jack Goldfinger. Week by week, and bill-by-bill, Jack shows the benefits of having a professional magician book the acts into this weekly mosaic of magic. This must be one of the toughest juggling acts ever attempted by a magician, bravo Jack! The all female roster of performers for the week included: Suzanne, Joycee Beck, Lisa Cousins, Sisuepahn Phila, Liberty Larsen, Luna Shimada, Sophie Evans, Juliana Chen, Joyce Basch, Jeanine Anderson and Misty Mew. It is tough to catch even half the scheduled shows in one evening at the Castle, however it is easy to catch the ‘buzz’ and ‘vibe’ from the Castle visitors. They loved it. With due respect to all the other performers, I am going to focus my brief column on the Palace show, as it was definitely the centerpiece of the tribute. Liberty Larsen acted as a bridge between the generations and the show began with her performing in one of her great grandmothers costumes. The Costume was on loan to the Castle from the S.A.M. Hall of Fame and looked great! Liberty was charming, fresh and exuded scads of appeal, not only in the opening vignette but while acting as MC and hosting the show. She even presented a short card routine with Peterkin, a hand puppet who had not performed since his days with Geri. I amongst many others was utterly charmed by Liberty’s performance skills. The three women who formed the core of the show were all top-notch performers and their shows blended into a synergistic performance that allowed each lady to shine individually and achieve an effortless standing ovation upon their full-cast curtain call. The feeling of unity they presented throughout the show was creativity and gender based in equal parts. Luna Shimada presented her fast paced blend of theatre and magical skills and was correctly introduced as a ‘Rock Star’ of magic. Luna’s act is bold, dynamic and innovative; it keeps improving and getting more exciting every time I see it. Her musical score was a highlight and could be studied by anyone wanting to improve his or her show. It was a wonderful way to kick off the bill and could just as easily have closed the performance—one of the signs of a skillfully directed show. The sizzling Sophie Evans followed Luna and performed her ‘fire’ show with much charm and quietly witty undertone that made it all the more enjoyable. Her show includes magic and fire eating and like Luna has been crafted and re-crafted to achieve maximum impact. Her floating ball of fire was a magical highlight in its simplicity and direct audience appeal. I enjoyed her work immensely. Juliana Chen presenting her masks, magic and exciting card work, was a great closing act. The attention to detail in her work was exemplary and turned small moments into exciting ones. Her final costume change brought gasps from the crowd. The pacing and arc of her act were nicely designed to build to a theatrical finale that got enormous audience response. All four performers were excellent and I feel Geri Larsen would have been proud to watch the show. Geri was way ahead of her time and after years of ‘men only’ magic shows it was fun to see the Castle pull a ‘rabbit out of the hat’ with a little reverse sexism and an all female cast in each of it’s showrooms. On a personal note I thought back fondly on some of the great female performers who have broken some Castle barriers in past years. Diana Zimmerman, Tina Lenert, Becky Blaney and Judy Carter were four of the names that sprang to my mind in this regard. Each one of them is a part of Geri’s legacy as a groundbreaking magician, who was also female. Let’s have more ‘tribute’ weeks—this one was a blast! ~ by Nick Lewin on May 16, 2012.